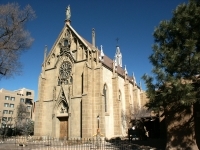 Santa Fe is a sightseeing haven offering those who visit the vibrant capital city a range of things to do, and lots to tour in this multicultural and historic city. Santa Fe is a fascinating place in that it has a very distinct character which it gets from its Native American, Spanish, Mexican and Anglo-American influences and history. This melting pot of influences means that there is a great deal of art and culture to see and enjoy. The El Rancho de las Golondrinas is one of the most popular heritage sites: A living museum on a 200 acre ranch, the El Rancho de las Golondrinas has successfully preserved the Spanish Colonial life as it was. 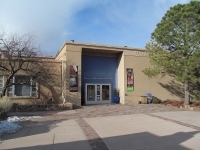 The Museum of Contemporary Native Arts is also a captivating site in that it offers incredible homage to the modern Native arts. Another drawcard for lovers of the arts is the Georgia O'Keeffe Museum which is home to the largest collection of the artist's work. For something a little different, the Museum of International Folk Art is a unique attraction, housing the biggest collection of fold art from all over the world. These are only a few of the compelling historic and artistic attractions Santa Fe has to offer. A beautiful place, Santa Fe also has many quaint streets and lanes to enjoy as well as architecture to admire in the form of the adobe houses and Spanish colonial churches in and around the city. 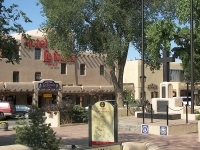 Sante Fe has a full annual calendar, with outstanding cultural and arts events and many music and film festivals. Also enjoyed by tourists are some top-class restaurants and the vibrant and multidisciplinary music scene. Dance to anything from country, to the blues or even enjoy some salsa when the sun goes down. Days filled with cultural curiosities followed by evenings of energetic musical entertainment ensure that a visit to Santa Fe will not be soon forgotten.